This week CIMSEC published articles analyzing European maritime security submitted in response to our Call for Articles. Submissions discussed various topics including key developments in North Korea’s pursuit of nuclear weapons, the strategic calculus of the players involved, and potential ways to resolve festering insecurity on the Korean peninsula. We thank our authors for their excellent contributions, listed below. In the past few months, the Korean Peninsula has once again become the focus of security challenges in the Asia-Pacific. Accompanied with the unstable political situation after the impeachment of President Park Geun-hye, unanimously passed by the Republic of Korean Constitutional Court on March 10, 2017, Pyongyang decided to conduct a series of military exercises and a sixth nuclear test, making regional stability even worse. 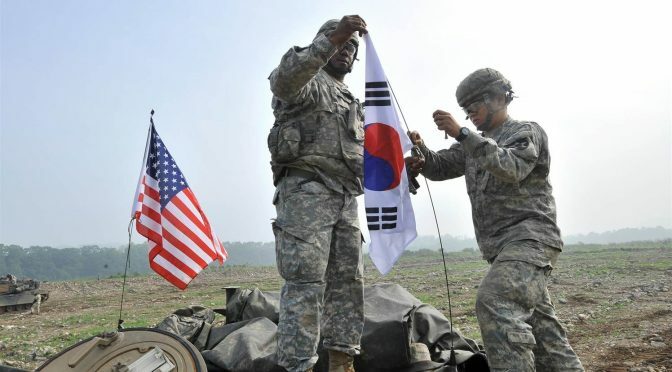 The Republic of Korea and the United States of America started the annual military exercises known as Key Resolve and Foal Eagle in order to deter any North Korean adventurism before the next president was elected in mid-May. Simultaneously with the emerging crisis in the Korean peninsula, a dramatic summit between Beijing and Washington was held in early April. Donald Trump and Xi Jinping exchanged their perspectives on the Korean Peninsula at the Mar-a-Lago estate, though no clear and conclusive approach reached a consensus during this meeting. 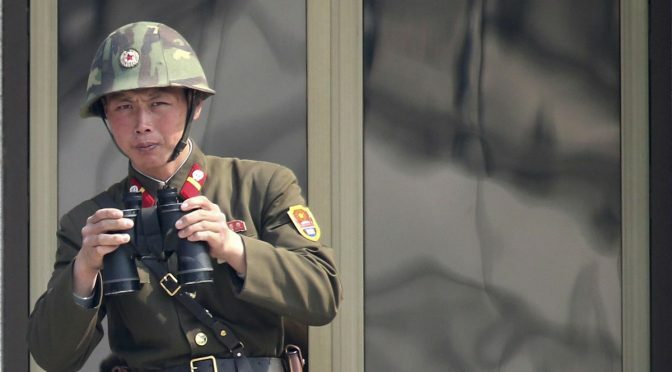 Many observers had predicted that an imminent conflict may erupt then simply because both United States and North Korea had shown their forces in such a high profile manner. Nonetheless, some still argued that there was no possibility of any armed conflict since no signal of real war preparation ever appeared. Furthermore, all U.S.-ROK annual joint exercises are conducted with proper scales. No particular alert poise and combat readiness may prove any attempt to solve the North Korean threats with military contingency maneuvers. As the situation around the Korean Peninsula returns to normal now, we should reevaluate the Korean Peninsula crisis in order to identify where the misperceptions are that lead us to an overstatement of the reality in North Korea. First, how serious is the challenge that can be brought by the North Korean missile and nuclear program? 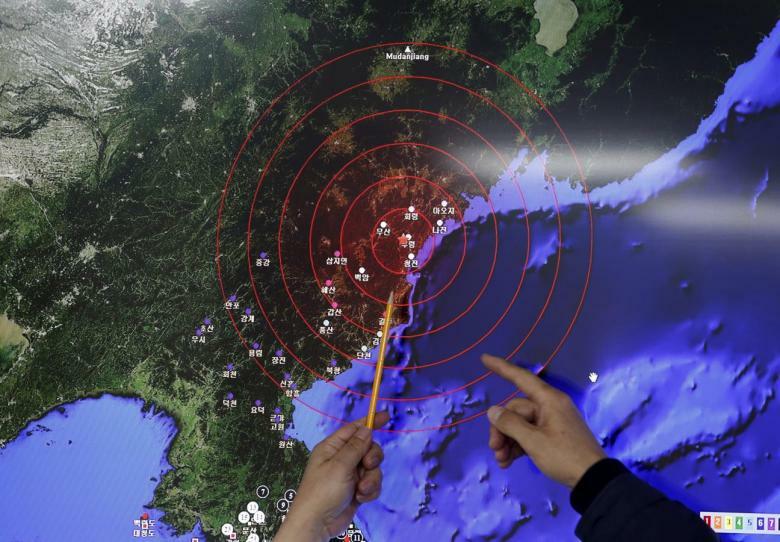 Since 2006, Pyongyang has successfully conducted nuclear tests five times. Unquestionably, the North Korean regime can be defined as nuclear-capable. Nonetheless, we should not automatically assume that Kim Jong-un already owns any reliable nuclear weapon. We should remember that conducting a nuclear test in a well-managed underground facility is one thing; acquiring reliable nuclear weapons with a delivery vehicle through the weaponization process is another issue. Key questions abound. Does a nuclear test and a missile test necessarily indicate a mature nuclear missile? Did Pyongyang ever prove that it has successfully completed the weaponization process from its primitive nuclear test yet? Can nuclear tests that happened in 2006, 2009, 2013 and twice in 2016 be sufficient to prove that North Korea may already own a mature nuclear weapon and the associated delivery vehicle? Do we need to review the historical records of various nuclear powers who developed their own nuclear arsenals? Is it unrealistic to assume that North Korea is capable of completing the weaponization process based on only a few tests? Even if North Korea has the luck to complete the weaponization process of its nuclear warheads and delivery vehicles within such a short period of time, has Pyongyang established a credible nuclear force yet? A well-articulated nuclear force is far more complicated than simply establishing a military force with nuclear weapons and delivery tools. The investment of command and control mechanisms that are compatible with the nuclear strategy may consume more of a budget than the nuclear weapon systems themselves. Force protection facilities and special forces for protecting the nuclear arsenal as well as other nuclear-related establishments are vital investments to build a mature nuclear force. We have already seen in the case of Pakistan and India how hard it is for them to retain their credibility of nuclear deterrence after their own nuclear tests. Arguably, we may also speculate that Pyongyang so far is only nuclear-capable, but to have any reliable nuclear arsenal and credible nuclear force, we have still yet to see. Second, we should ask how North Korean nuclear capacity may convert into any political influence. It is very hard to see if Kim’s regime may use the nuclear weapon as a coercive means to take any offensive actions towards neighboring states. Has Pyongyang ever mentioned that the nuclear weapon will be used other than self-defense? Can North Korea afford a first-strike nuclear strategy? We should reconsider the purpose of Kim’s nuclear policy instead of misconstruing his real intention. Is a nuclear weapon a good choice to enhance the legitimacy of the government, thus assuring the political survivability of the regime? Given the case of the former Soviet Union, the answer is not ideal for Kim Jong-un. Can the nuclear arsenal enhance the political legitimacy of the North Korean government? This answer may also be disappointing. Kim’s nuclear policy has a very slim probability of reshaping the power structure in Northeast Asia and supporting the political survival of Kim’s regime. We should make no mistake in mistaking North Korea’s nuclear weapon for Iran’s anti-ship missile, which can immensely affect maritime transportation at the exit of the Persian Gulf. The nuclear weapons held by the North Korean may not have the same influence as other military assets in Kim’s hands, such as the hundreds of conventional artillery assets proximate to Seoul. Third, the China factor in the Korean Peninsula should be clearly identified. There is much speculation on Beijing’s position towards Pyongyang. Undeniably, China is the only key ally to this isolated state. Nevertheless, the influence of China on North Korea is also limited. China has clearly addressed its position on the North Korean nuclear issue with several statements noted by the Chinese governmental white paper titled China’s Policies on Asia-Pacific Security Cooperation issued on January 11, 2017. It first admitted that “The nuclear issue on the Korean Peninsula is complex and sensitive …” which proves that managing a nuclear Korean Peninsula is a daunting challenge to Beijing, too. Unlike many accusations of China secretly helping Pyongyang develop its nuclear arsenal, this policy statement clearly indicated China’s disagreement with the existence of North Korea’s nuclear capability. We, therefore, may conclude with a clear picture of China’s position on Pyongyang’s nuclear adventurism. However, it is necessary to remember another issue: the deployment of the THAAD missile system in the Korean Peninsula in recent months. Although Beijing hasn’t linked this issue with the North Korean nuclear issue yet, Washington should be aware of the sensitivity of this military maneuver. 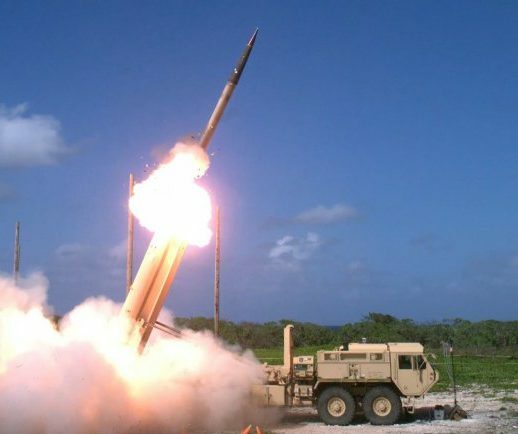 Given that the white paper states “Despite clear opposition from relevant countries including China, the U.S. and the Republic of Korea (ROK) announced the decision to start and accelerate the deployment of the THAAD anti-ballistic missile system in the ROK. Such an act would seriously damage the regional strategic balance and the strategic security interests of China and other countries in the region, and run counter to the efforts for maintaining peace and stability on the Korean Peninsula. China firmly opposes the U.S. and ROK deployment of the THAAD anti-ballistic missile system in the ROK, and strongly urges the U.S. and the ROK to stop this process.” Of course, the newly-elected South Korean President Moon Jae-in may have the possibility to change the decision of deploying the THAAD system. Nonetheless, Washington should consider how these two issues can be well-managed together before any linkage actually emerges in Beijing’s strategic calculus in the future. Last but not least, during past several months, there has been a missing point rarely noted in commentary. The Sino-North Korean Mutual Aid and Cooperation Friendship Treaty signed on July 11, 1961 is still a valid security assurance granted by Beijing so far. Article Two is a provision of mutual military assistance in the event of security threats to either signatory. The phrases of assuring military intervention as “The two parties undertake jointly to adopt all measures to prevent aggression against either party by any state,” and “in the event of one of the parties being subjected to the armed attack by any state or several states together and thus being involved in a state of war, the other party shall immediately render military and other assistance by all means at its disposal,” gave the treaty characteristics of a pact for security alliance. Also, Article Three notes, “Neither party shall conclude any alliance directed against the other party or take part in any bloc or in any action or measure directed against the other party,” which can possibly exclude the possibility of Beijing granting tacit consent to Washington for any military maneuver involving the decapitation of North Korean leadership or the destruction of its nuclear facilities with military strikes. Although it is very unrealistic to argue that the Article Three of this treaty may effectively restrict any cooperative diplomatic effort between Washington and Beijing towards Pyongyang, it is necessary to understand Beijing’s present position of interpreting the terms noted in this treaty. The Korean Peninsula crisis will never be the catalyst for improving Sino-US relations, though both parties do share the concern of future development. There are so many issues on the mutual relations agenda between Washington and Beijing. On the other hand, the Korean Peninsula crisis is the best chance for the Japanese Abe’s regime to have an excuse to revise its constitution. For the Japanese concern on the Korean Peninsula is a “just cause” or only a “just because”, the strategy planners in Washington should well assess its significances. With many misconceptions already existing on the Korean Peninsula, the most valuable advice would be “always be aware of those who intend to fish in troubled waters”. Before taking prompt decisions and taking the viewpoints from media commentary, reviewing all the basic documents carefully should also be an essential element for formulating future policies. Dr. Ching Chang was a line officer in the Republic of China Navy for more than thirty years. As a visiting faculty member of the China Military Studies Masters Program at the National Defense University, ROC, he is recognized as a leading expert on the People’s Liberation Army with unique insights on its military thinkings. As we approach the halfway mark of 2017, the geopolitical narrative this year has been dominated by North Korea and its enigmatic leader Kim Jong-un. Bluff and bluster from Pyongyang is nothing new. However the last few months has seen tension rising to unprecedented levels and the rhetoric seems to be a lot more threatening – nuclear war with the United States at the top of the heap. He has repeatedly demonstrated his missile capability either through launches into the sea (with questionable results) or at spectacular military parades. He is determined to develop an ICBM with only one obvious target. 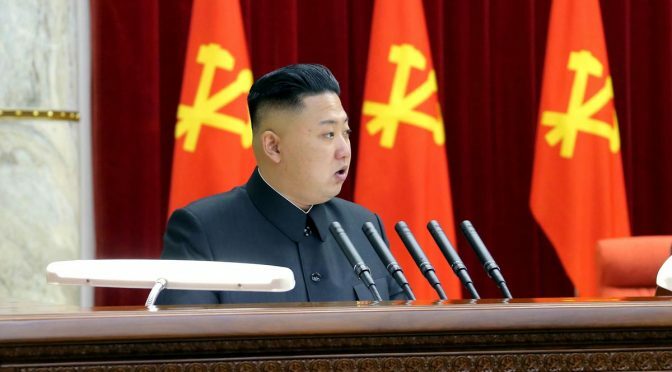 In this year itself he has launched seven missiles of various types and trajectories including an IRBM, the Hwasong-12 on 14 May, and another medium range missile on 21 May. Experts believe that each effort is bringing him closer to realizing his ICBM dream. What has led Kim to escalate this antipathy toward the U.S. to this extent and send out a very clear and unequivocal message that these developments are all aimed at the U.S. and its regional allies? Kim Jong-un has been variously described as a despot, a mentally unstable leader and even a schizophrenic who blows up close relatives with anti-aircraft guns on frivolous excuses. Increasingly there is a perception that underlying this unpredictable exterior is a very shrewd mind that allows the world to think him so and thereby keep everybody on edge. To retain absolute power in a political structure such as North Korea’s would require a great deal of cunning and skill because oppressive and totalitarian regimes beget palace intrigues, covert conspiracies, and palace coups. This kind of one-man authoritarianism also breeds megalomaniacal tendencies which is perhaps what is happening in this case with a young leader who wields absolute power and is largely unchallenged in the exercise of that power. However, such a leader cannot function without a supporting military structure and trusted generals, some of whom themselves must be wielding enough power of their own and are content to let him function so long as their own power structure remains intact. The display of awesome military might at ceremonial parades and frequent missile launches may also be a brave attempt to battle internal insecurities and play to a domestic audience. This audience can be led to believe that the outside world is ganging up on them and therefore the great leader is developing disproportionate military power to safeguard the nation, which for a starving and economically backward population is a small price to pay against externally-imposed destruction. To the outside world at large, Kim needs to be better understood and perhaps a judicious mixture of the carrot and the stick is essential to contain this rhetoric which he may soon himself come to believe. The U.S., which should be the most concerned about this escalation in North Korea’s missile ambitions, could perhaps adopt one of three approaches – confrontational, conciliatory, or just plain indifference. None of these offer a satisfactory solution in themselves and a comprehensive strategic approach could perhaps offer a way ahead with a combination of all three. If the U.S. is looking to adopt a predominantly confrontational approach as indications from the current administration so far suggest, it needs to do a lot more than it is doing or has even shown an inclination to do. The famous ’pivot’ or ‘rebalance’ initiated by President Obama should have sent a clear and unequivocal message to the U.S. friends and foes alike in the region but ended up doing just the opposite. It not only created doubts about the U.S. commitment to the region amongst its allies but also emboldened its foes who perceived it as weak and ineffective. President Obama’s failure to act on the red lines he himself drew up on Syria and the Ukraine further eroded U.S. credibility in the Indo-Pacific. Irreparable fault lines have developed in ASEAN as countries increasingly veer towards China as insurance for their future well-being. The commitment expected of a superpower which hopes to shape the 21st century world order with a near-peer competitor breathing down its neck has been sadly absent. However, notwithstanding this reluctance to act, there was a maturity and sagacity in the U.S. leadership and reaction to global events which inspired confidence. However, November 2016 changed all that. The foot-in-mouth outbursts from President-elect Trump on important foreign policy issues sent alarm bells ringing amongst all U.S. allies but there was still hope that the responsibility that comes with being the president of the U.S., the most powerful country on Earth, will make him come to grips with reality and shape a mature outlook. Unfortunately, the lack of any coherent direction in U.S. foreign policy initiatives has greatly eroded its image and a large part of the blame for that is attributable to the president himself. In the context of this article, his statement that South Korea would have to pay $1 billion for the THAAD system only to be retracted a day later by his administration speaks volumes about the foreign policy crisis facing the USA. The initial grandstanding on China only to ultimately accept meek acquiescence reflected an immaturity that bordered on the absurd and which regimes such as China’s see as a sign of great weakness and a vulnerability waiting to be exploited. The final nail in the coffin was the ridiculous USS Carl Vinson affair of the missing CSG which not only damaged the professional image of the U.S. Navy but also exposed dangerous chinks in the abilities of the president’s administration, something the USA can ill afford at this moment. Seeing this spectacle play out would have been a source of great rejoicing in China. From a situation last year when pressure from the U.S. at least got China to make the right noises about the need to rein in North Korea, nothing of the sort has happened this time. Rogue states such as North Korea are rarely amenable to reason and therefore need to be kept in check by their biggest benefactors who are unwilling to do so for precisely the same reason. It is a well- known fact that China is North Korea’s biggest benefactor and despite being a permanent member of the UN Security Council, and thereby on the top table of a rules-based international order, has been complicit in funding and proliferating nuclear technology, expertise, and material to North Korea. China is also not so naïve as to have created these nuclear problems without retaining some element of control over their programs. However, this is now a handy geopolitical tool for China to keep its adversaries, principally the U.S., Japan, South Korea, and India on edge. The virulent Chinese opposition to the THAAD installation in South Korea was perhaps attributable more to this edge being blunted than any specific threat to China itself. The six-nation formula which was meant to rein in the North Koreans has been an abject failure mainly because of the Chinese intransigence to play honest broker and initiate any concrete action against North Korea. Even after North Korea’s recent missile tests, China made a few perfunctory noises, mobilized a few troops on its border with Korea, and stopped a few coal carrying trucks after which it was business as usual. For some strange reason, these actions seem to satisfy the West who can perhaps not suggest anything better in the absence of a coherent strategy of their own in checking North Korea. Insofar as North Korea is concerned, this was reaffirmation of Chinese support in the event of a confrontation with the U.S. North Korea’s belligerence toward the U.S. is playing directly into Chinese hands as U.S. preoccupation with the Korean peninsula gives China unfettered opportunity to consolidate its position in the South China Sea and indeed in the entire Indo-Pacific. Perhaps the most unflattering situation in this entire imbroglio is that of the U.S. in the region, primarily because it is not sure of its own position and as a result is creating great uncertainty in the minds of its closest allies, particularly Japan and South Korea. In the event of an escalation in the stand-off between U.S. and North Korea, it may be Japan and South Korea which will bear the brunt of Kim’s likely irrational response. This would not be acceptable to either nation and if the U.S. is unable to reassure its allies in the region with a credible plan to thwart North Korean aggression then it is unlikely to garner the unconditional support it expects. It is therefore quite evident that Kim is going to continue making news for the rest of 2017 and beyond. Reason will take a back seat in his quest for an ICBM. The only country that could prevail upon him to curtail this ambition is China which has shown no inclination to do so thus far and is unlikely to do so as part of its own larger strategic design. It may even in fact offer clandestine support as it has done in the past in gross violation of international non-proliferation norms. The U.S. needs to get its North Korea policy in place as part of a consistent, mature, and well-thought out overall foreign policy addressing the concerns of its allies. 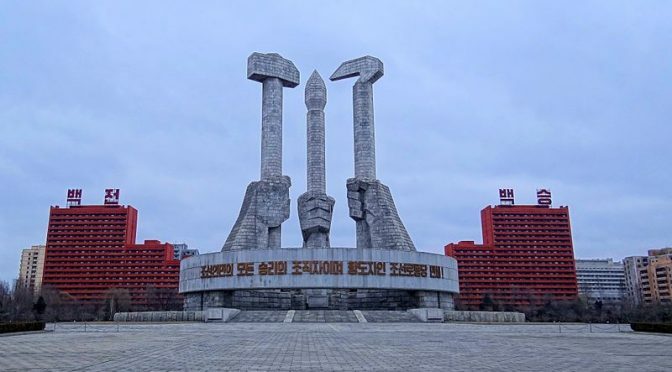 Countering North Korean belligerence with ad hoc reactions like diverting a couple of CSGs is neither a strong enough signal of intent nor adequate for the message it wants to send across. Commodore Anil Jai Singh is an Indian Navy veteran whose commanded four submarines and one ship. He is presently the Vice President of the Indian Maritime Foundation. The views expressed are personal. He can be contacted on ajaisingh59@gmail.com and on twitter @ajs_subdriver. The Korean peninsula now has more than one unpredictable player on the field. This gives substantial fresh upside in the potential to find solutions on the peninsula – with the downsides more terrible than ever. On the campaign trail, his inauguration, and now as the maxim of his press team, Donald Trump has laid down a promise to shake up Washington in ways that no other politician could. While the jury is still out on whether the domestic politics as usual tug-of-war has been upended with a new president in town, Mr. Trump’s position as a political outsider and foreign affairs neophyte is having immediate and tangible consequences for United States foreign policies across the globe. Donald Trump’s occupancy of the White House has infused unpredictability into American foreign policy in ways that have been cautiously avoided for most of the last four decades. Nowhere is this newly founded unpredictability more salient than in North Korea. The Korean peninsula is home to a frail, 64-year old ecosystem of stability built on military might, big power politics, and constant commitment problems. Stable predictability is the foundation of this tenuous Korean peace, and Donald Trump’s penchant for shooting from the hip and upending convention could crumble that foundation and send Korea’s fragile ecosystem of stability up in flames. The player that has the most to think about is North Korea’s foremost ally and benefactor – China. Donald Trump’s unpredictability may be able to pressure China into taking decisive action with North Korea, especially if it believes that further nuclear development may lead to a preventative first strike from American military forces. Trump’s firing of missiles at a Syrian airbase has created the perception American destructive force is more predisposed towards use than it was during the Obama presidency. A perceived penchant for quickly executed military action gives Donald Trump certain advantages that a calculating, forward thinking President Obama did not have. The Obama White House launching a sudden, unilateral preventative strike against North Korea seemed a remote possibility. Would we see the same cool-headed restraint with Mr. Trump in the Oval? That becomes less clear. If the Trump administration takes this unpredictability to the Korean peninsula, China will see itself stuck between two bad choices – watching as the North Korean regime is attacked and perhaps toppled by an external force waging war in China’s own backyard, or take part in isolating a North Korean regime that would crumble onto itself when it is cut off from foreign currency and vital agricultural and energy inputs. Of course, China has many intervening policy choices that it can make between those extremes – with the most likely being pressuring Kim Jong-Un enough to denuclearize but to remain short of imperiling the regime’s survival. Should Kim Jong-Un remain incorrigible, China has other strings to pull within the North Korean leadership. And pull those strings it would, if China credibly believed that an American first strike was credible and imminent. There are other channels through which President Trump’s disdain for convention could lead to shifts on the peninsula. Mr. Trump has put sacred cows of American foreign policy on the table before, including expressing discontent with the U.S.-ROK military alliance. That President Trump would be somehow more reverent towards the thrice yearly U.S.-ROK join military exercises seems doubtful. He has floated that it is possible that the U.S. would ‘go it alone’ on North Korea without Chinese assistance; would that threat extend to sidelining South Korea in potential peace treaty talks? If these issues are at least perceived as being on the table, the Trump administration could set the stage for the kind of grand, two-track bargain that is the only real diplomatic way forward for all players on the Korean peninsula. That includes North Korea taking serious steps on nuclear talks, and opening the door to Complete, Verifiable, Irreversible Disarmament; and it also includes the U.S. and South Korea making credible commitments toward diplomatic recognition of the DPRK and moves toward a peace regime on the peninsula. 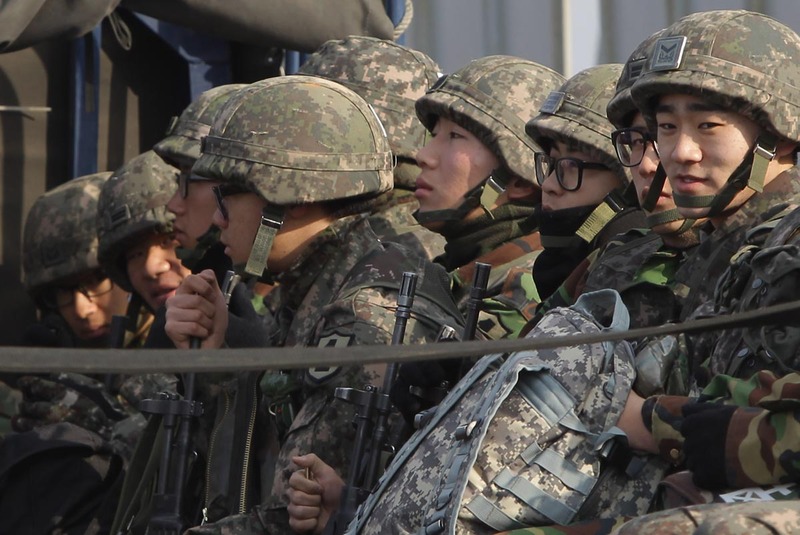 There are other ways the Korean stalemate can break, and not all of them include a U.S.-led offensive or even U.S. led negotiations. A U.S. ‘go it alone’ attitude moves the meter for Korean calculus on both sides of the DMZ, creating common cause among Beijing, Pyongyang, and Seoul. Pyongyang may see value in walking back the recalcitrant position it has taken towards China and attempt to move toward mending ties. A history of capriciousness and the domestic political factors that Kim Jong-Un must satisfy to stay in power may make the credibility of a North Korean commitment seem laughable. But it is important not to underestimate how much importance Beijing places on the continued existence of the DPRK as a buffer state that keeps U.S. influence at bay and U.S.-ROK military capabilities pointed at Pyongyang (instead of Beijing). Kim Jong-Un could offer Xi Jinping an off ramp to deescalate tensions and temporarily lower the chances of U.S. intervention. Xi may take that off ramp to return to the status quo and maintain North Korea’s position as a key strategic buffer. The biggest shift may come from the advantageous negotiating position in which Seoul finds itself. The South Korean public is again ready for another round of North Korean engagement; a liberal president (may) sit in the Blue House, who sees himself as the heir to the country’s democratic, engagement-based legacy. South Korea may see itself as being sidelined in deciding its own future; and most importantly, a few missiles casually lobbed at an impending DPRK ballistic missile test can escalate to reprisals on South Korean citizens or all-out war. These circumstances give Seoul leverage over inter-Korean and regional events that it has not enjoyed for decades, perhaps even since the beginning of division of the Peninsula. As military and economic threats close in on Pyongyang from both the U.S. and China, a desperate Kim Jong-Un and a Moon Jae-In trying to break South Korean foreign policy out of its conservative mold may become natural allies in trying to diminish tensions and avoid large scale conflict. For all the possibilities we see in Trump’s unpredictable foreign policy, we cannot forget that upending the ecosystem of stability carries huge risks and terrible downsides. North Korea suffers from serious conventional military deficiencies and an authoritarian government constantly in fear of being deposed; an unpredictable Trump means their own margin of error for survival is unpredictably slimmer. North Korean officials have been explicit in that they will act first if they believe war is imminent – Trump moving carrier groups to or starting a troop buildup in Korea could be the spark that reignites a major land war in Korea. The Trump administration walks a very fine line. It must understand the reputation it has built, and operationalize that reputation to push a real deal on the peninsula. This is a once in a generation opportunity for a comprehensive strategy: showing it is serious in its potential actions, so as to cajole China into action and Kim Jong-Un to the negotiating table; while at the same time being prepared to make big moves on military exercises, denuclearization, and peace deal negotiations when the time comes. Without a comprehensive strategy, this is just two crazy people playing a game of chicken; a prospect made all the more the more terrifying when civil war and nuclear weapon use is on the line. President Trump has a window of opportunity to make big progress on the Korean peninsula. His reputation precedes him; he just needs to put it to work. Travis Lindsay studies international security at the UC San Diego School of Global Policy & Strategy. He is a part of the CSIS Pacific Forum Young Leader program, and has previous experience at the Korea Economic Institute of America. He writes on U.S. foreign policy and energy security in East Asia, and has published with both The Diplomat and The Peninsula on Korea issues. He can be reached at tdlindsay@ucsd.edu.